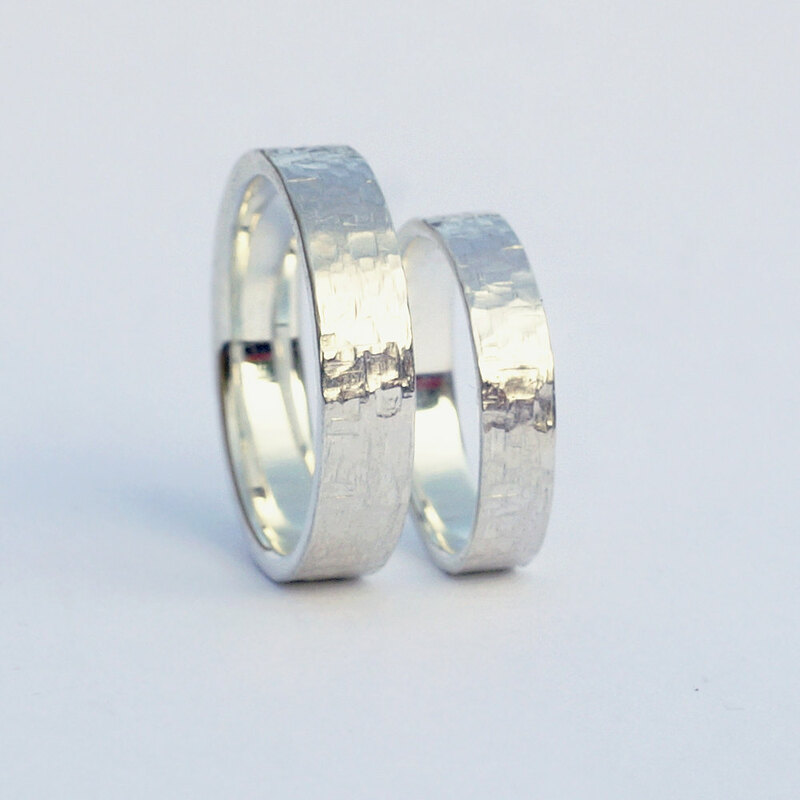 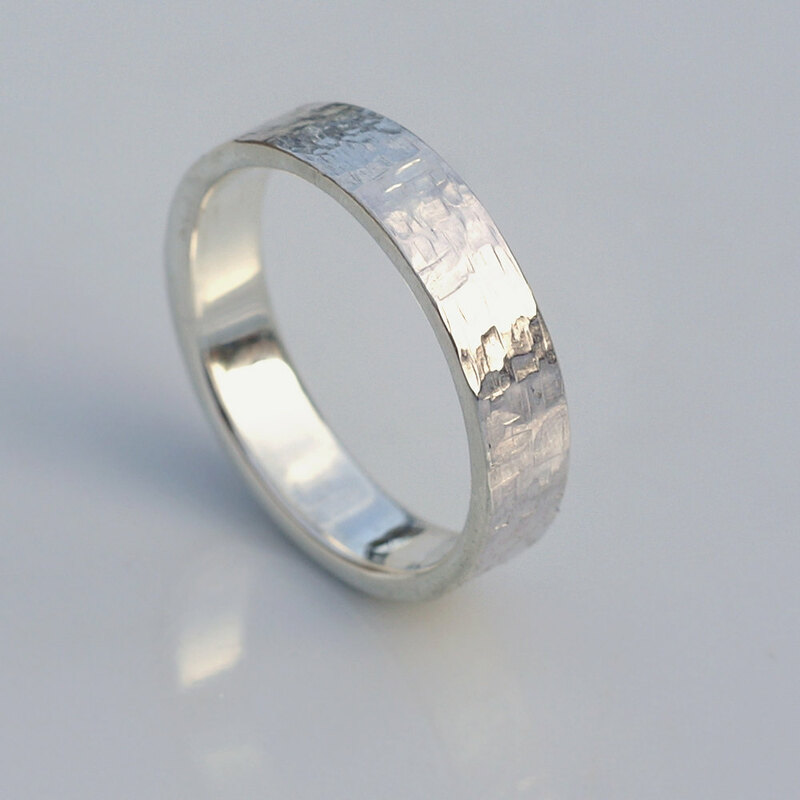 Sterling silver wedding bands with unique hammered texture. 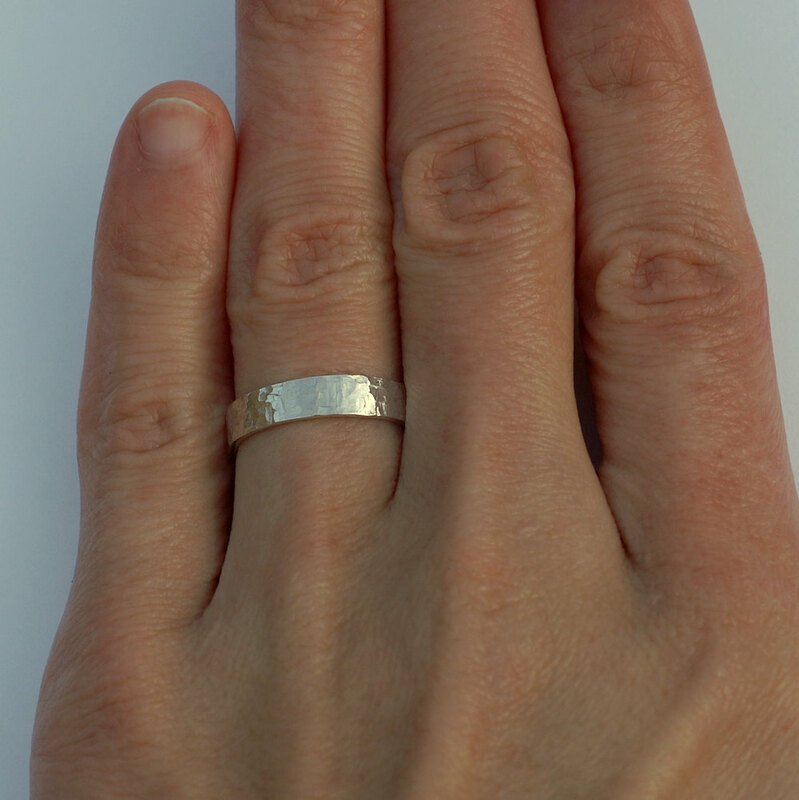 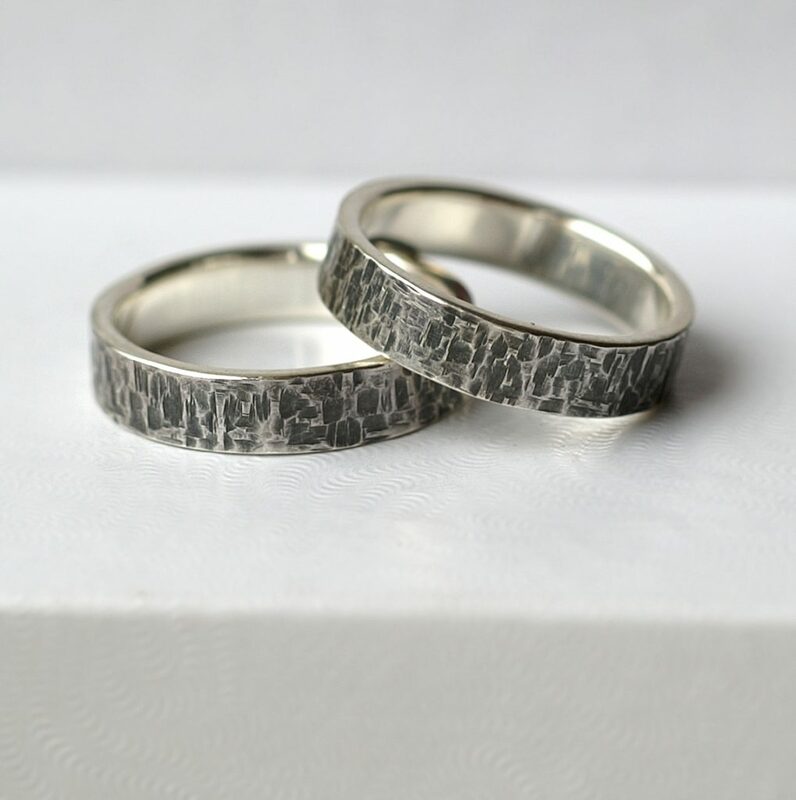 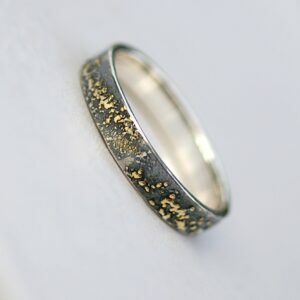 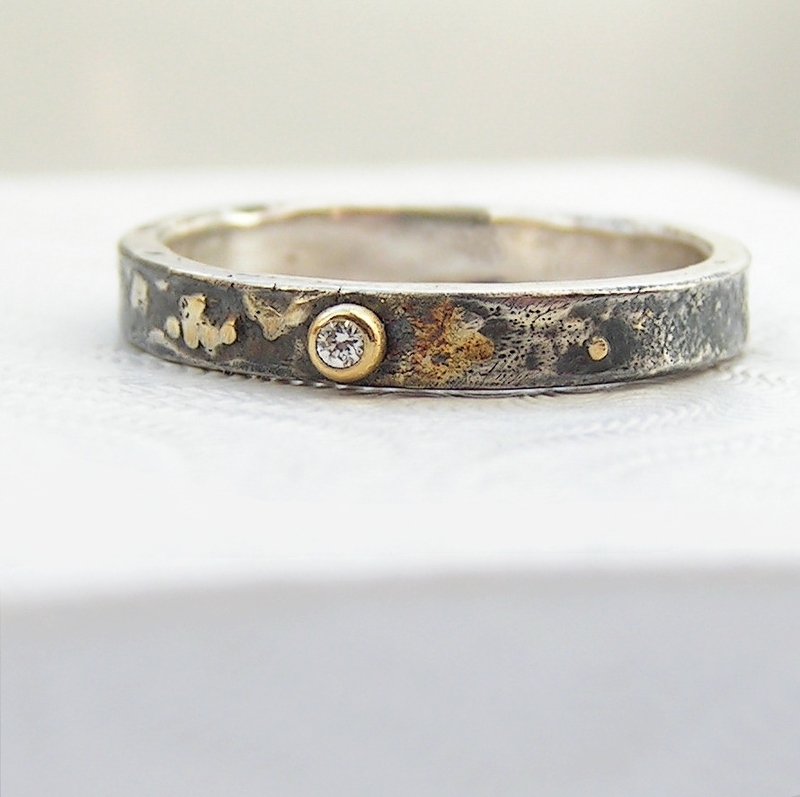 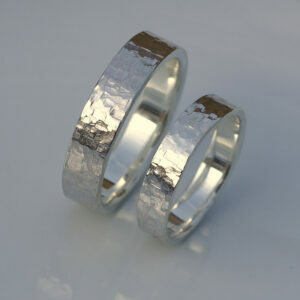 These are simple rings decorated with hammered texture only. 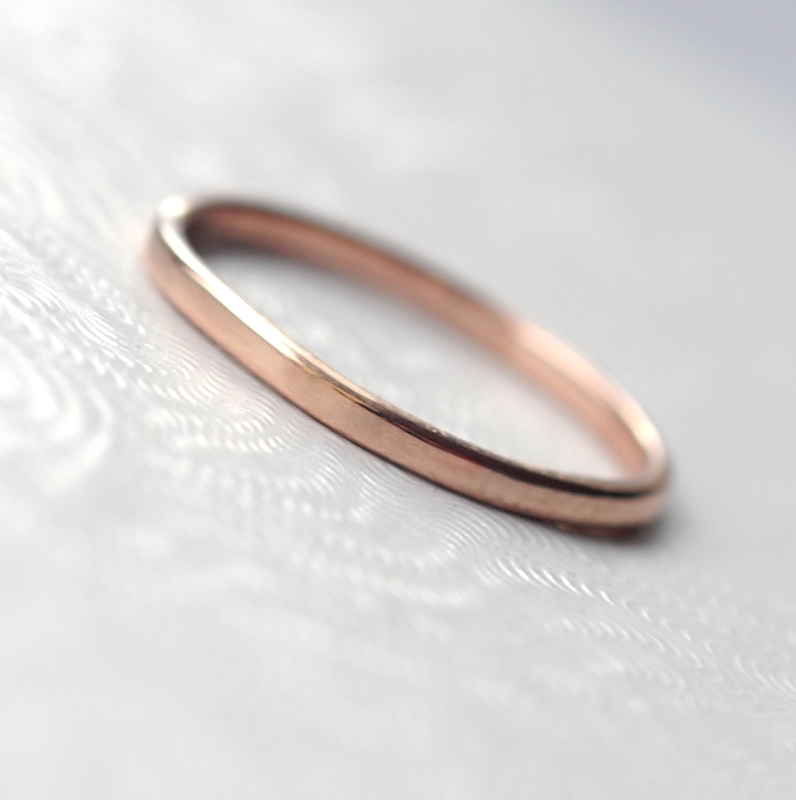 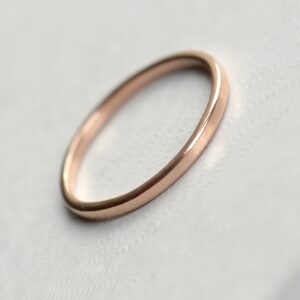 Inside of the rings is mirror polished, inner edges are rounded which makes rings highly comfortable to wear. 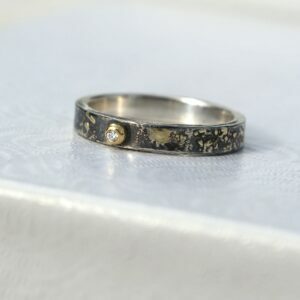 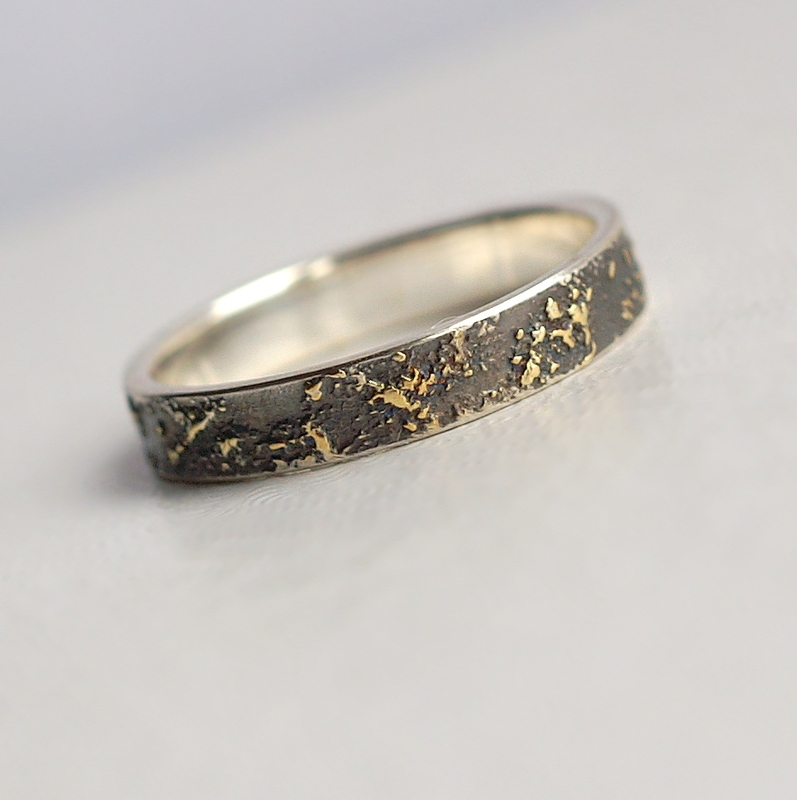 The rings are shiny, but can be also oxidized.